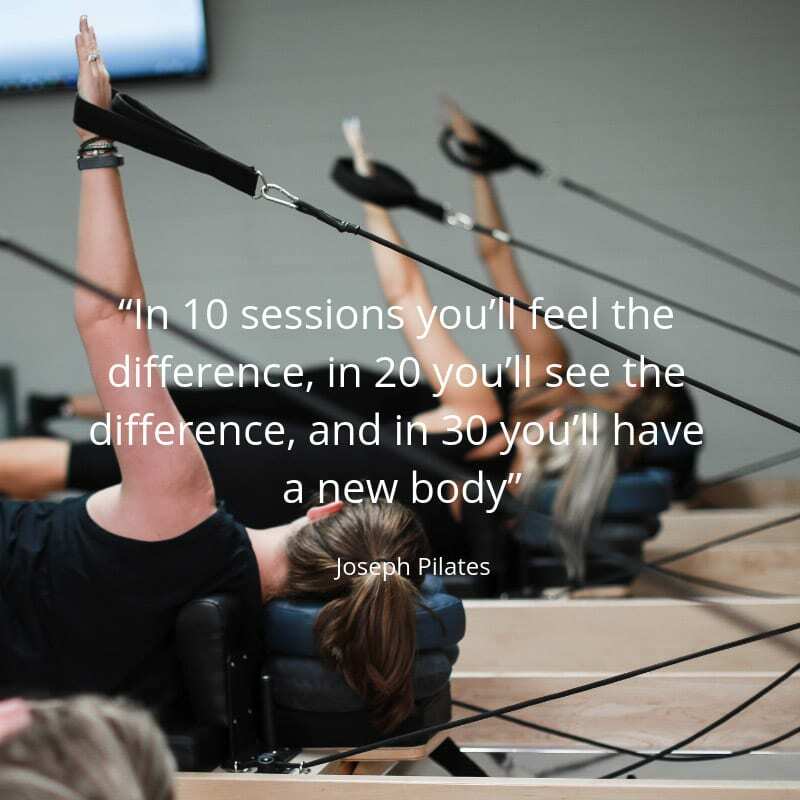 You may be familiar with the quote from Joseph Pilates “In 10 sessions you’ll feel the difference, in 20 you’ll see the difference, and in 30 you’ll have a new body”. Pilates studios like to throw this around in their marketing and for many new customers it probably does the trick of getting them on board. At Reform, we don’t use it because we thoroughly believe in honesty and integrity in our advertising, and a new body in 30 sessions is just not something that we can guarantee. It’s not that reformer Pilates can’t totally transform your body (it can and does! ), but old Joe forgot to clarify that he meant 10, 20 or 30 sessions within a certain time-frame. For most people that’s preferably 3-5 sessions a week. So 8 weeks to a “new body” if you’re working out 4 times a week. 6 weeks if you’re working out 5 times. And, on the whole “new body” thing what is exactly did he mean? We’re pretty sure he didn’t mean that 30 sessions on the reformer would transform Rebel Wilson into Kendall Jenner, or your body into anything other than your body. Only better. Stronger, leaner, more shapely, improved, functional, balanced, and so totally worth it, but not exactly “new new” if you get what we mean. So how about reformer workouts once a week for 30 weeks? What do you get for that? A better range of movement, some strength, improved vitality, flexibility and a great time in our lovely little studio, of course, but definitely not a new body and not even your best possible one. To get the “new body” gains you need to commit yourself to 30 classes on a much more stringent time-frame. It’s a tough ask, but trust us it comes from a place of love and wanting you to have the best body you can possibly have (and maybe even a “new one” at that!). In 10 sessions (in two weeks) you’ll feel the difference. In 20 (within the first month) you will see the difference and if you do 30 sessions (within 6-8 weeks) you’ll be well on the way to your best possible body… for life! This we can promise. ← PILATES AT ANY AGE – 30? OR 60? REFORMER DOESN’T DISCRIMINATE!